Crowns are dental restorations also known as "caps" which are coverings that fit over teeth. Crowns may be necessary because of broken down old fillings, fractured, chipped or sensitive teeth. Crowns are also used to improve the appearance of natural teeth. 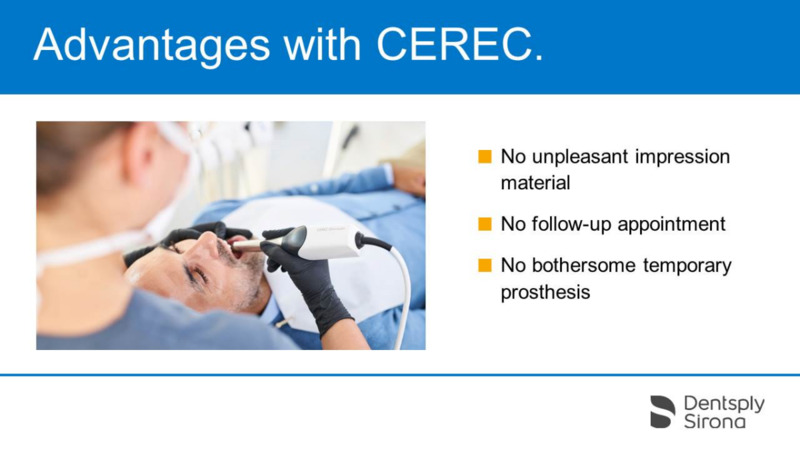 Why more patients are choosing CEREC®? CEREC is proven by hundreds of clinical studies, performance, unrivaled success, and unqualed capabilities have it the number one dental CAD/CAM choice for dentist for over 28 years. Let's face it, very few of us have perfect teeth, free of decay and fillings. You can probably see a filling or two in your own mouth, which do just that -- "fill" a cavity, or hole, in your tooth left from the excavation of decayed tooth structure. In many cases, those fillings are made of metal material and can go bad, weaken the tooth, or get additional decay under or around it. In fact, 1.2 billion of these metal fillings will need to be replaced in the next 10 years. * CEREC® is a method used by Dr. Wissinger and thousands of dentists worldwide since 1987 not only to replace these fillings, but also to restore any tooth that is decayed, weakened, broken, etc. to its natural strength and beauty. Better yet, it's done with all-ceramic materials that are tooth colored in a single appointment! 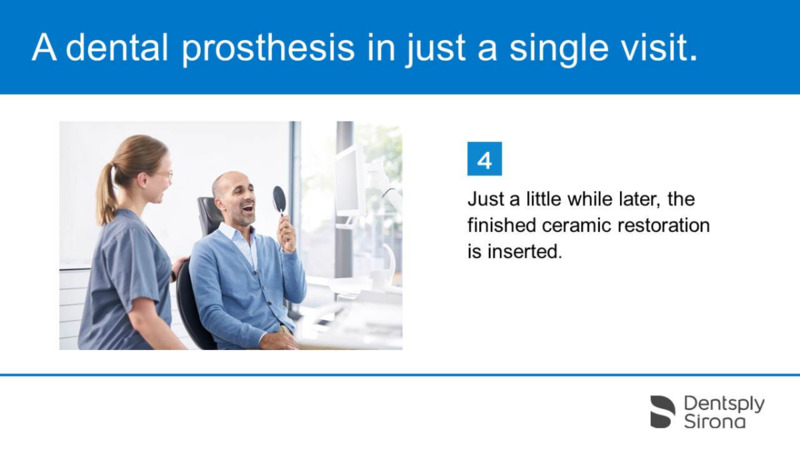 So, how does the CEREC® procedure work? 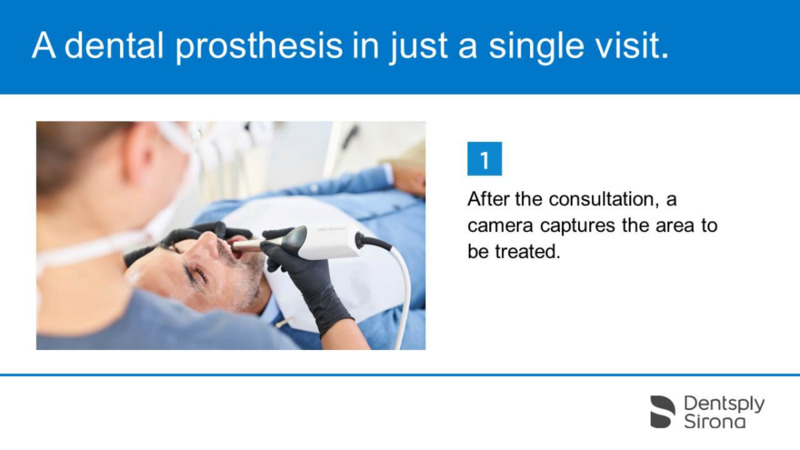 The CEREC® SystemFirst, Dr. Wissinger examines the tooth and determines the appropriate treatment. It could be a simple filling, or a full crown, depending on how much healthy tooth structure is remaining and Dr. Wissinger's clinical judgement. Next, she administers an anesthetic and prepares your tooth for the restoration, removing decayed and weakened tooth tissue. This preparation is just like she would do for many other restorative techniques. Then, Dr. Wissinger takes an Optical Impression of the prepared tooth. Instead of filling a tray with impression "goop" that you must bite into and hold in your mouth until it hardens, she coats the tooth with a non-toxic, tasteless powder. A camera is then used to take a digital picture of your tooth. This whole Optical Impression process only takes a minute or two. Next, the CEREC® machine helps Dr. Wissinger create the restoration for your tooth. 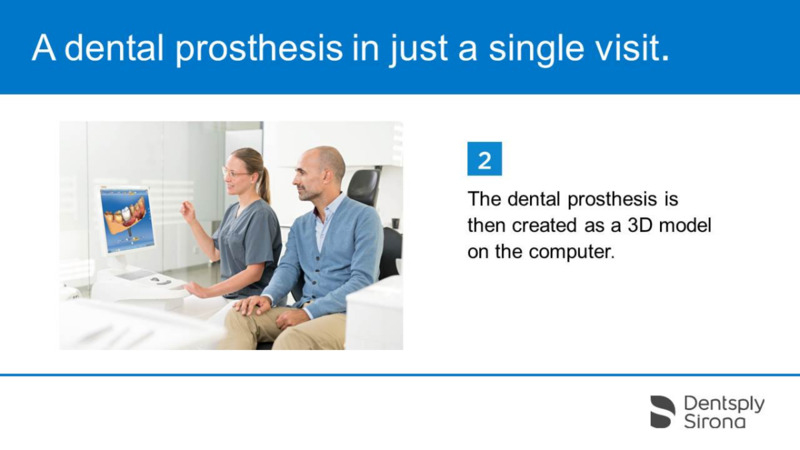 The CEREC® 3D software takes the digital picture and converts it into a 3-dimensional virtual model on the computer screen. 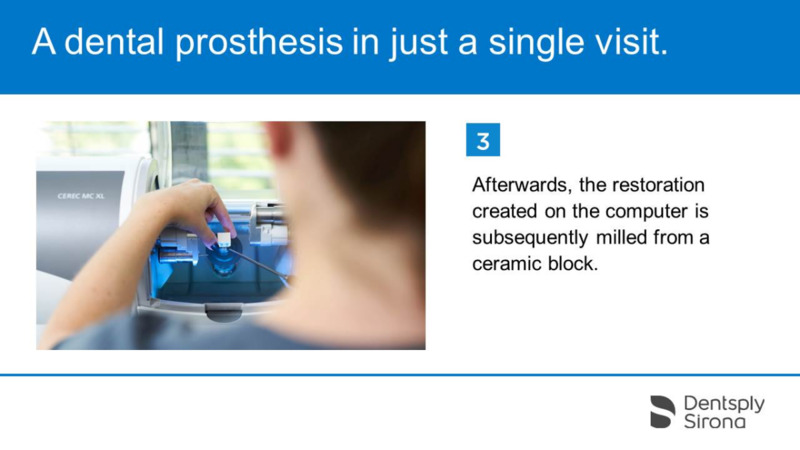 She then uses her dental expertise to design the Inserting block into milling chamber restoration using the CEREC® 3D computer program. Within a few minutes, Dr. Wissinger clicks a button, and the restoration design data is sent to a separate milling machine in the office. A ceramic block that matches your tooth shade is placed in the milling machine. About 10 - 20 minutes later, your all-ceramic, tooth-colored restoration is finished and ready to bond in place. Finally, she tries the restoration in your mouth to ensure proper fit and bite. The restoration is then polished and bonded to the prepared tooth. Your tooth is restored with no "temporary" or return trip necessary. All of this is done in a single appointment! 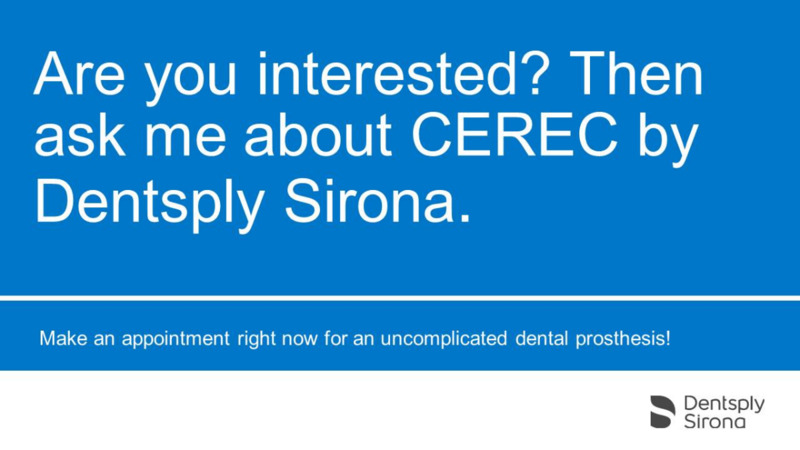 Ask your E Dental Solutions about CEREC® today.